A stunning, luxury gold foiled handbag hand finished with ribbon. 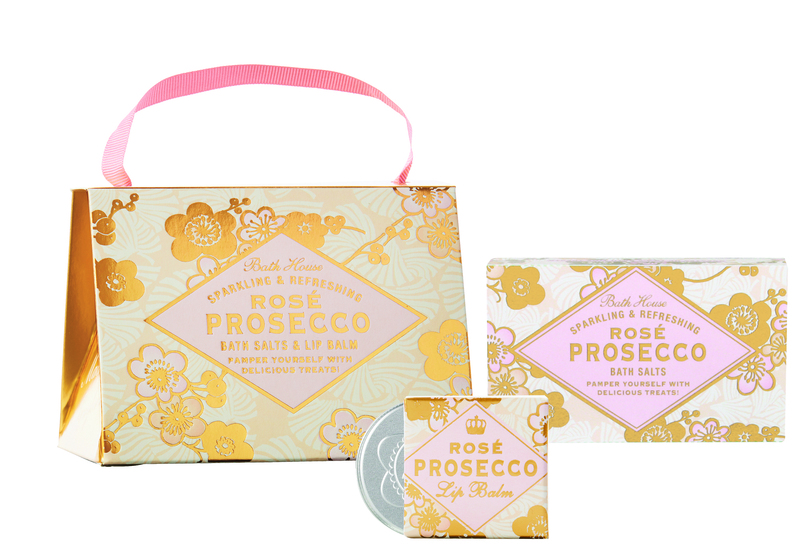 A perfect gift idea for someone special, open this fun handbag to discover luxurious pampering treats inside. 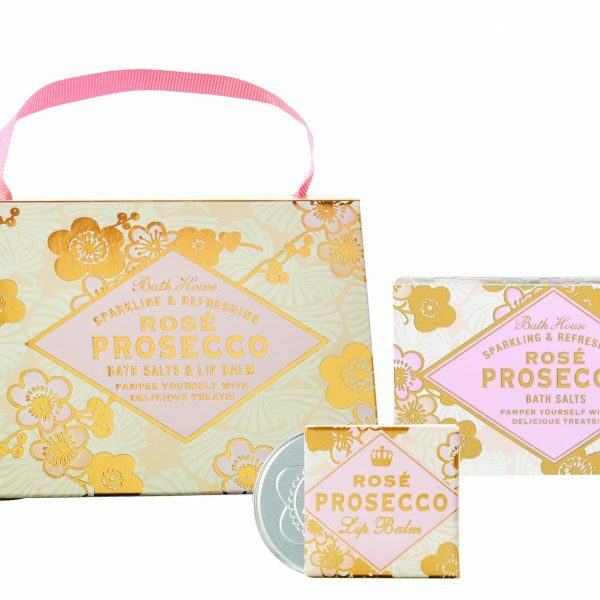 Our Rose Prosecco handbag contains a nourishing lip balm 15g and bath salts 100g; perfect for soothing baths and luscious lips – both bursting with the divine fragrance and natural goodness.